I love to get the kids outside when the sun is shining. Anything I can do to get these kids off the Internet!! Am I right? 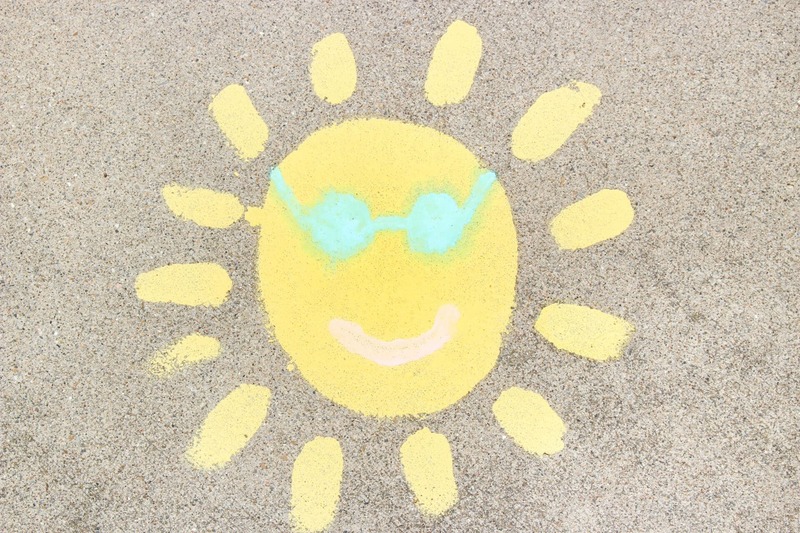 One thing we love to do is paint on our sidewalk. We have a big driveway and everyone takes a corner a creates a little work of art. At the end, our house ends up looking like a museum! I love it. 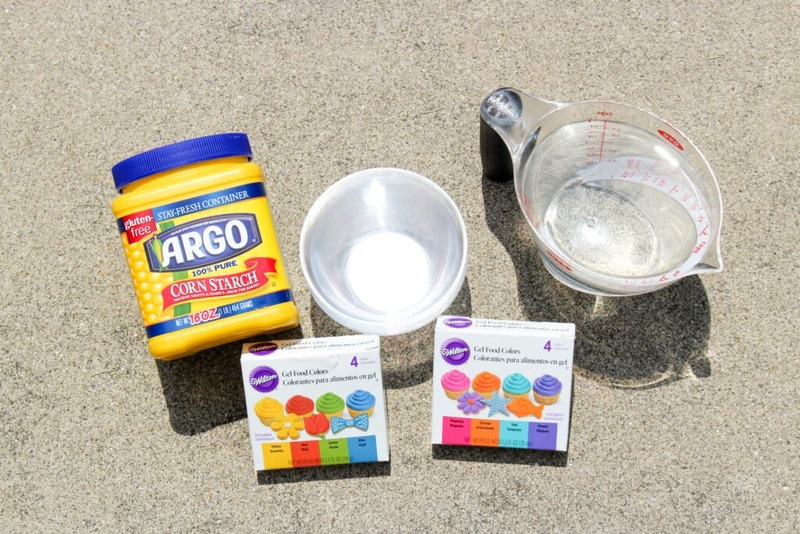 If you want to learn how To make DIY sidewalk chalk paint, check out my instructions below. It’s so easy to make! Your kids will be painting in no time. 1. 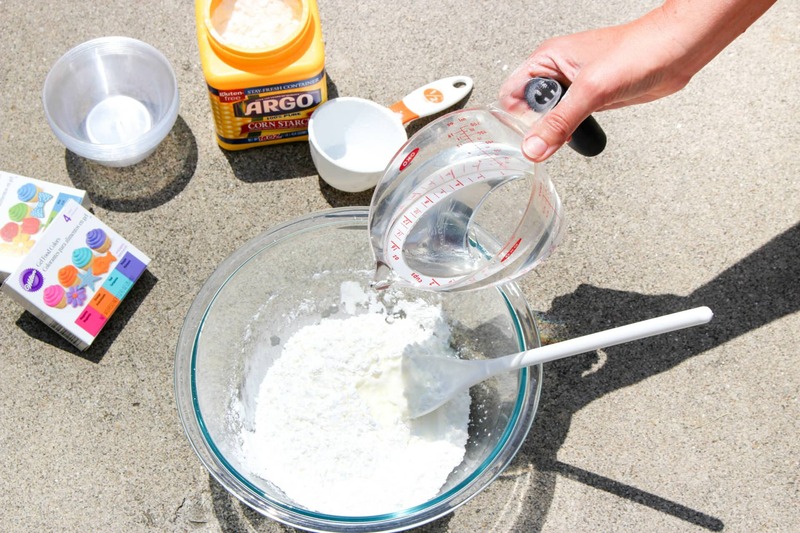 In a mixing bowl, combine the water and cornstarch and stir until the cornstarch dissolves and it is smooth. It will be kind of runny. 2. Divide the mixture evenly into the small plastic cups. 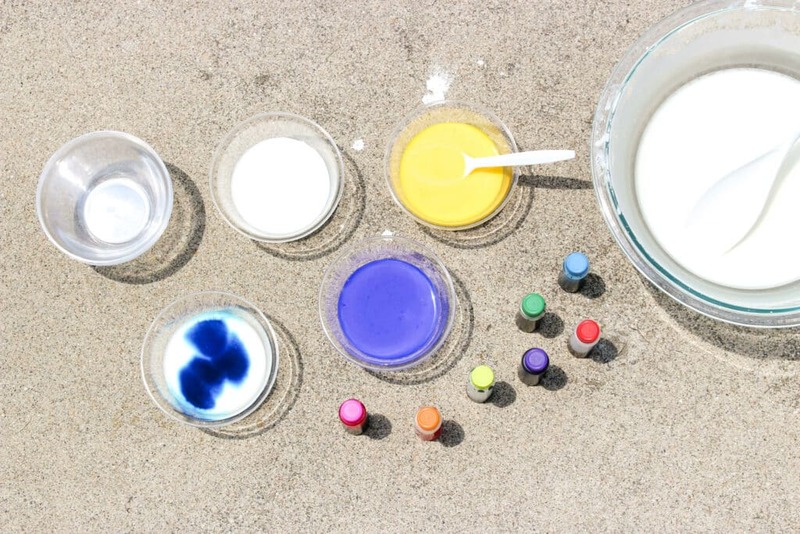 Use the food coloring to make a different color paint in each cup. 3. 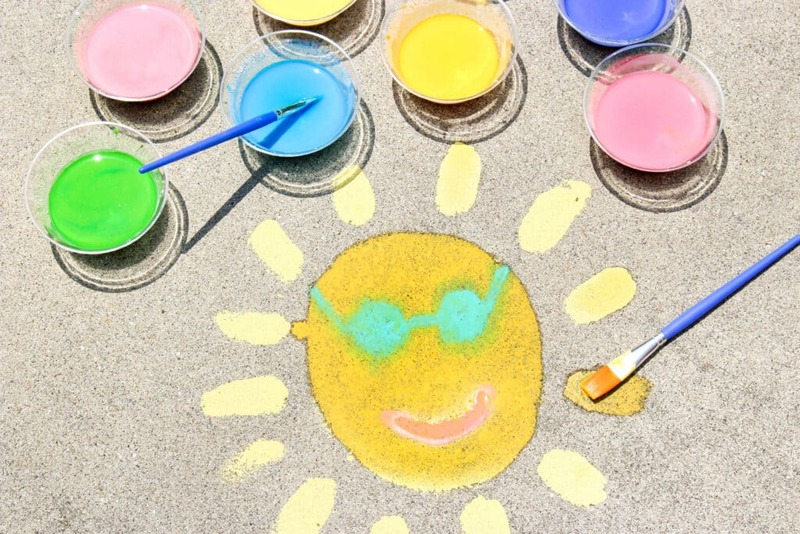 Use paintbrushes to paint pictures on the sidewalk or driveway outside. The mixture is thinner and runnier than regular paint, but just paint your pictures like you would with any other paint. The paint dries quickly, and it will resemble sidewalk chalk. The colors are very bright once they dry! It washes off very easily with rain or the hose. 4. This is so much fun to use and a nice change from traditional sidewalk chalk. Happy Painting! What do you think about this DIY idea? 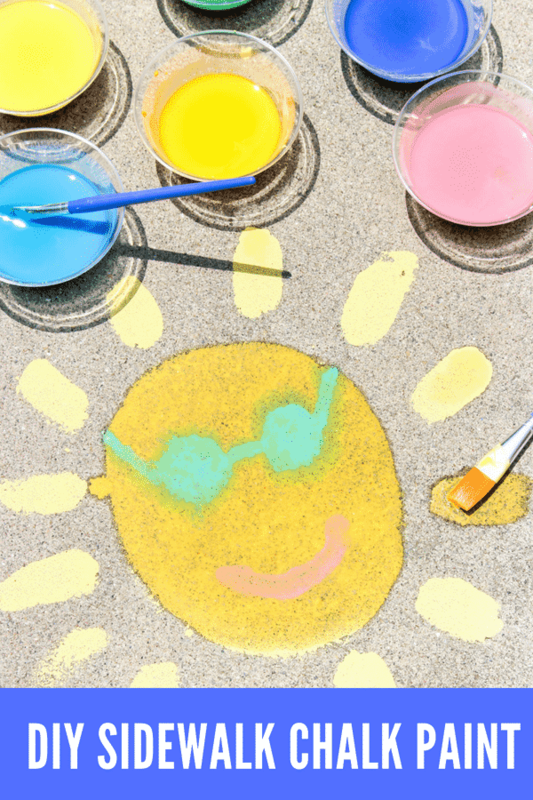 Are you going to give this summer activity a try? I think your kids will love it! My 13-year-old does this on her own without any of my help. OF COURSE, all of the mixing takes place OUTSIDE. There is no way any of this science will take place anywhere near my rugs. But it certainly is a great thing to do on concrete. LOL! How to make DIY sidewalk chalk paint isn’t so bad, right?! Give it a shot. Looking for other DIY projects?